Enjoy reading through our guide on things to see and do in the Scottish Highlands whilst taking a self-catering break. Book a stay in a holiday cottage or log cabin in the wild and incredibly scenic Scottish Highlands for an experience unlike any other. The Highlands is a beautiful vast area which is sparsely populated and offers treats such as eagles soaring in the sky and if you go to Loch Ness, who knows you may even spot the Loch Ness monster! The countryside around Loch Ness is scenic and very peaceful, ideal for anyone seeking solitude, find out more about a country cottage holiday near Loch Ness. 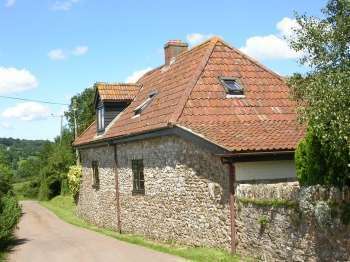 Discover solitude, a rare experience for most of us who live in highly populated areas. The Scottish Highlands offer panoramas of hill, mountain, glen and forests where you can walk amongst stately pines, meet red squirrels and encounter mysterious standing stone circles from early civilisations. 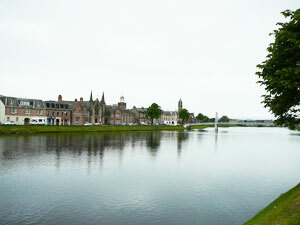 The most well known city in the Highlands is Inverness, the official capital of the Highlands. Fort William is probably the most heard of town, made famous by its setting, nestled next to Ben Nevis. Inverness is located not far from Loch Ness, known for the legend of the Loch Ness monster and home also to the ruins of Urquhart castle. Loch Ness is a huge loch where you can enjoy boat trips. Inverness itself is an attractive enough city, there is a river and some grand stone buildings. Inverness has more of a feel of a large town than a city although there are a number of restaurants and bars. It is also possible to do a spot of dolphin watching from Inverness and nearby as the Moray Firth is home to these amazing creatures. Fort William is a very attractive town, located at the mouth of an estuary and enjoying mountain views of Ben Nevis, this town boasts both waterside and mountain vistas. Many hikers and keen walkers head to Fort William due to its proximity to Ben Nevis. Fort William makes for a scenic base. Other towns of note in the Highlands are Aviemore, known for its proximity to the mountain range of the Cairngorms. With its numerous attractions and resort feel, Aviemore is bound to be a hit with children and is popular for skiing in season. If you are taking a family self catering break in the Highlands you may also want to look up the Highland Wildlife park which has an assortment of animals and lovely mountain views. Known for its dramatic scenery is the Great Glen and the Great Glen Way, which is the scenic route that you can take by car to see this attractive part of Scotland. If you prefer it is also possible to see the Great Glen more slowly by foot or by bike. Most often when visiting the Highlands, holidays tend to centre around Inverness, the Great Glen and the surrounding area. The very north of the Highlands is an area that most do not venture in to. This part of the Highlands offers wild beautiful scenery and many opportunities for solitude and wildlife watching. From near the northernly town of Thurso at Scrabster in the Northern Highlands, you can even take the ferry over to reach the Orkney isles, known for their remoteness and natural beauty. 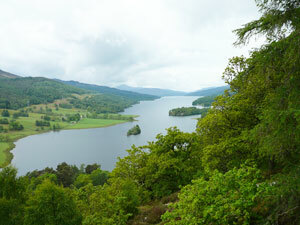 Some northernly parts of Perthshire are also known as the Perthshire Highlands. This name is sometimes used to describe the area around Pitlochry. Officially the Highlands do not start until Dalwhinnie and just south West of Dalwhinnie. "Highland Perthshire" though does border this area and is an interesting forested part of Scotland which does have some amazing viewpoints such as the Queens View. For whisky lovers there are also a couple of distilleries in the area. 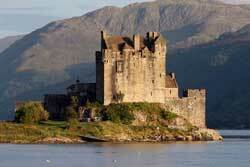 The Isle of Skye is officially part of the Scottish Highlands and can be reached via Kyle of Lochalsh. 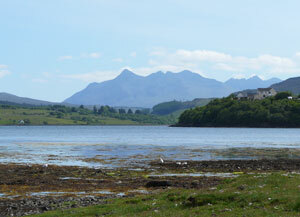 If travelling by car to the Isle of Skye from the Highlands you can enjoy stunning mountain vistas and sea views. It is also well worth stopping off for a visit to the beautiful Eilean Donan castle, situated just 8 miles from the Kyle of Lochalsh, on the main route from the Highlands to the Isle of Skye. There are castles and whisky distilleries to visit, Highland Games to watch, traditional festivals, beaches, golf, and parks to enjoy. The new Archeolink Centre near Insch is a brilliant place to take the family, especially if your family has Scottish roots. 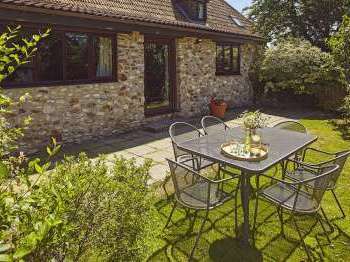 Take a look at the cottages in Grampian and other parts of Scotland to see what's on offer. Click here for more cottages in Scotland for the school holidays.